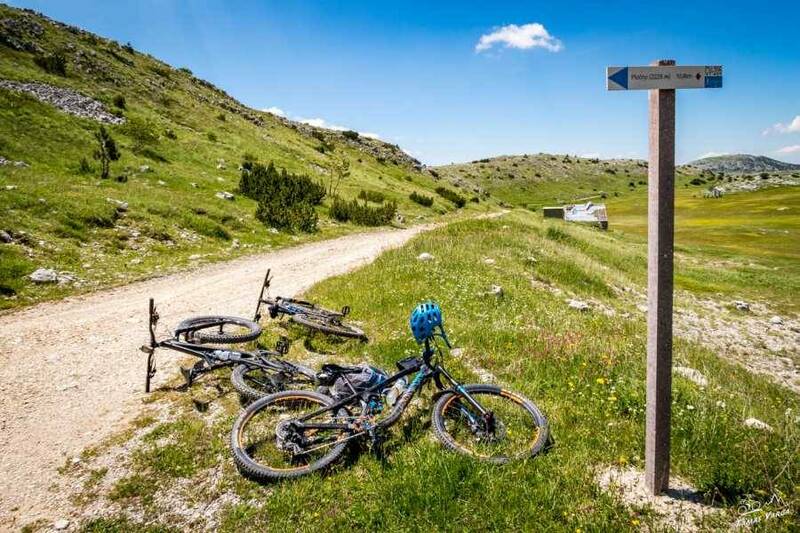 A great combination of biking, hiking on Cvrsnica Mountain range at Blidinje Nature Park and Rafting through the Neretva Canyon. 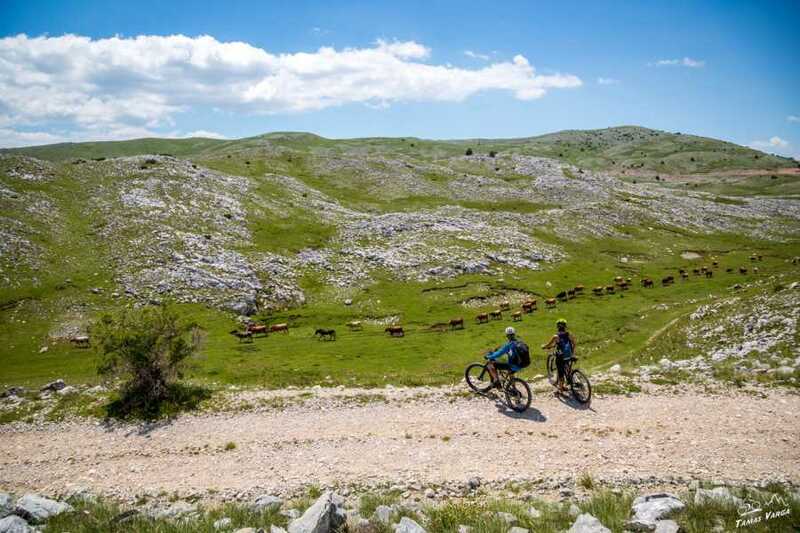 Come with us to hidden highland villages, and enjoy a rare view of the emerald of Herzegovina flowing over 100 kilometers from its source into the Adriatic sea. 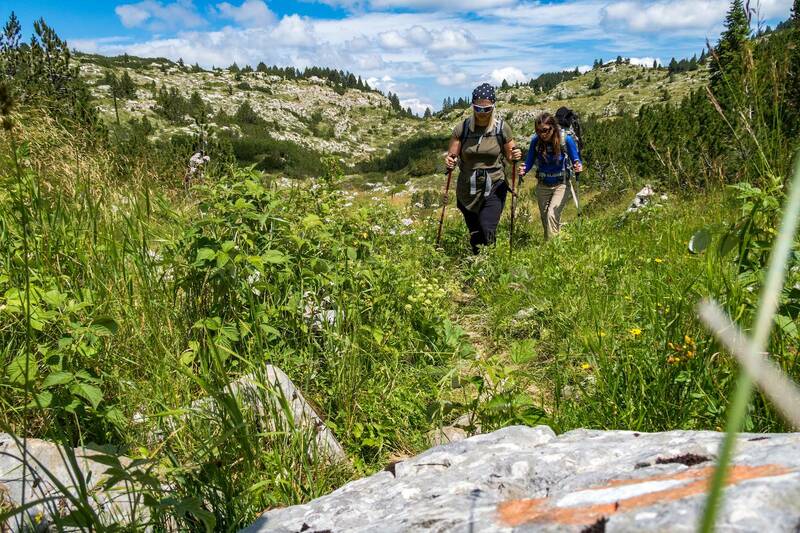 Expect deep canyon walls, endemic flora and fauna, and a wild & pristine ambiance that only the Neretva can provide. You should be reasonably fit for this one and it requires some biking experience! 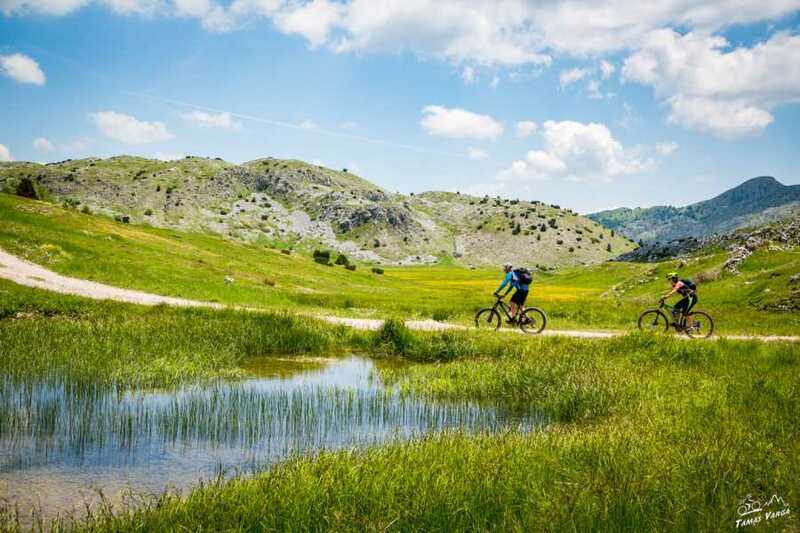 We start our Adventure with 2-hours transfer to Blidinje Nature Park. Today’s route takes us through the Cvrsnica and Vran mountains, some of Bosnia & Herzegovina’s most remote areas. The ride will be 4-5 hours with approximately 75% on non-paved roads and single track. Lunch is taken taken with us, prepared by one of the local families still living there. We finish the ride in the Pension Vilinac, below Cvrsnica mountain not far away from the ski resort, where we overnight in a simple mountain chalet. Today we travel to Mostar, but before we get there turn off in the mountain valley of Diva Grabovica. 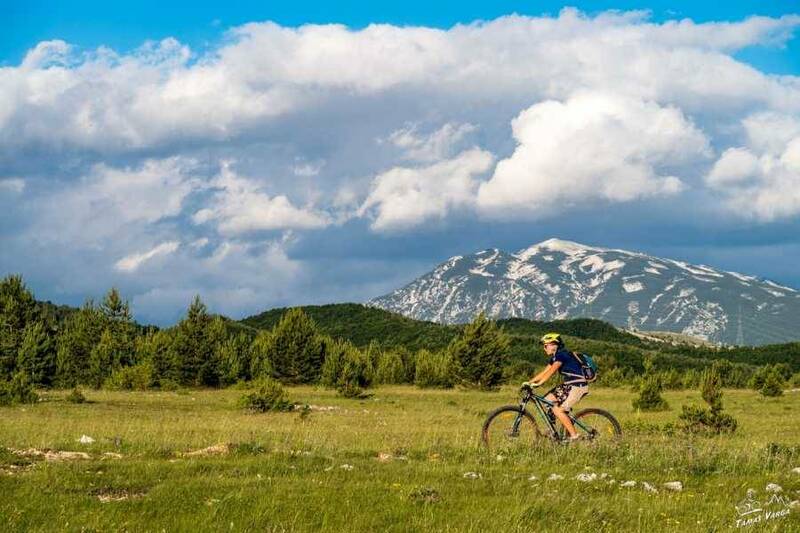 Diva Grabovica is nested in the extraordinarily attractive environment in the heart of Cvrsnica Mountain (2,228 m), right at the place where the Mediterranean meets the rough alpine climate. The drive from Blidinje Nature Park takes us back to Neretva river valley and lasts about one hour. 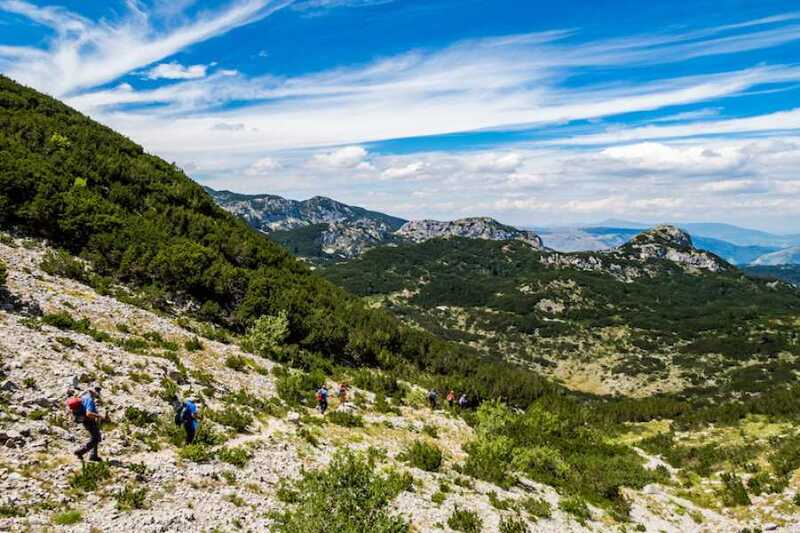 This is a great tour climbing through the ancient forests of Cvrsnica Mountain to Zljeb…all the while trekking on King Karadjordjevic’s old hunting trails. A hunting hut was built near the top for the King because he so fancied the rich wildlife the area had to offer. He ‘s dead now, but his trail is very much alive and we’ve been using it for years. 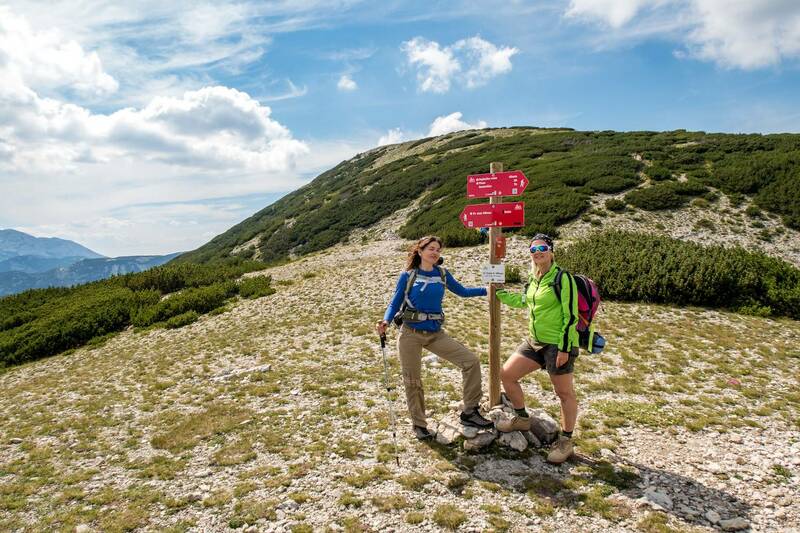 We’ll hike through closed beech-tree forests starting from the amazing valley of Diva Grabovica. It’s a fairly sharp climb at times but truly stunning and refreshing. The trail head leads us to several natural springs, so water is nema problema. Do bring a water bottle to fill for our final ascent though. We’ll climb the steep up for 2.5 hours before reaching our destination. We’ll do our lunch on a perch overlooking the largest rock face on the Balkan Peninsula @ over 1,000 meters. The peaks of Cvrsnica tower around us in every direction from this point. Mali and Veliki Medved sprout out in front, rock walls to our right, and the rocky peaks of Cvrsnica highest points just behind us. Spectacular views a refreshing hike fit for a king and queen…so treat yourself as such, you won’t be disappointed, we promise. At the end of the day we transfer to Mostar (45 min). The Neretva river is the emerald of Herzegovina, flowing over 200 kilometres from its source into the Adriatic sea. 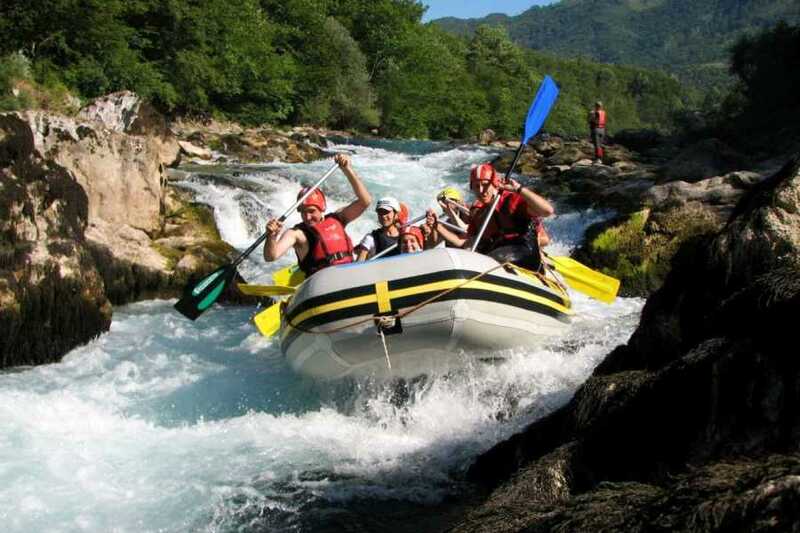 In the upper canyon is some of the most beautiful rafting in Europe. The water is very calm during this time of the year, and the trip provides ample opportunity to enjoy the canyon and its unique flora and fauna. Depending on the season, there will be class II-IV rapids. The trip lasts for approximately 4 hours with breaks for swimming and snack. Lunch will be provided at the end of the day in Restaurant overlooking Neretva river and Konjic Old bridge. In late afternoon we will take 1 hour transfer back to Sarajevo. 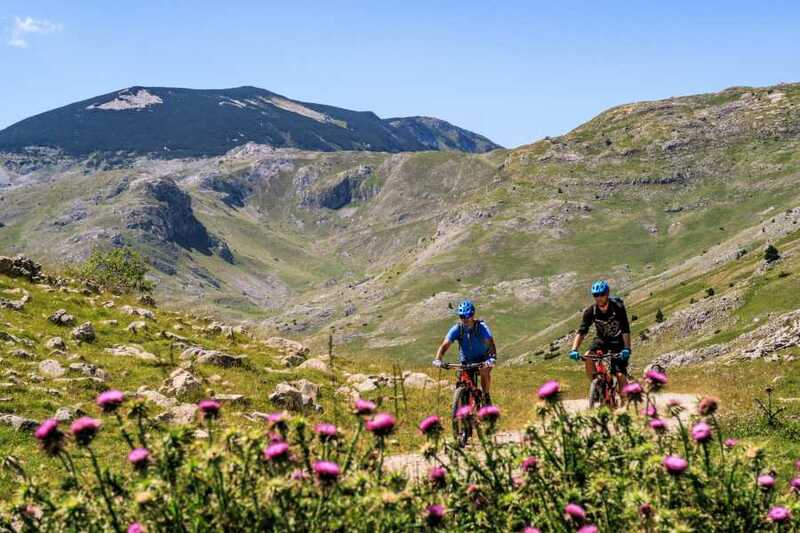 Biking Conditions: A full day of Mountain biking over 40 to 50km of rough mountain paths, with up to 1000m ascent. 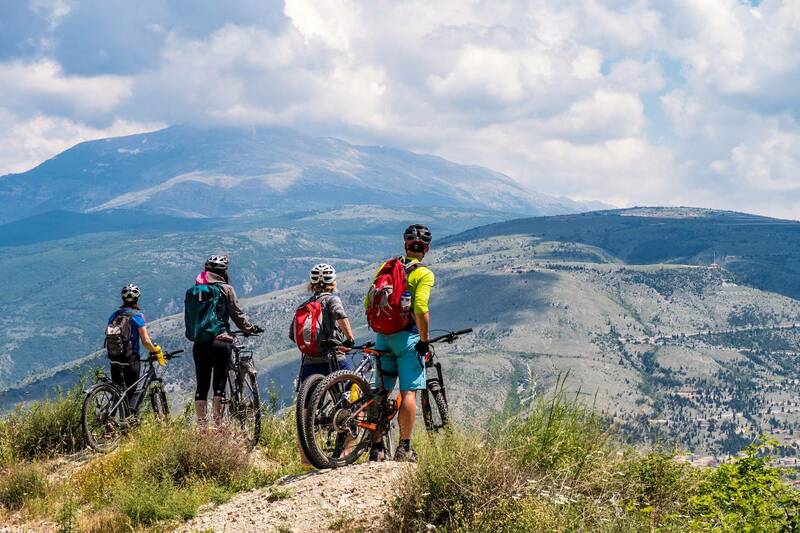 You will be provided with good quality mountain bikes as well as enjoy the company of your experienced guide. Walking Conditions: This trek includes a one day walk through moderate terrain, where you will need to carry a day backpack. We will walk between 4 to 5 hours, with a picnic lunch taken on the way. The trails are fairly well maintained and marked. The paths are often rough and stony underfoot. The walk involves steady ascents and descents (maximum 650 meters). Rafting Conditions: The rafting includes 3 to 4 hours of rafting through 23 km of unspoilt canyon. You will be provided with all necessary safety gear, helmet, life-vest and a wet suit. What is included: Transport from Sarajevo to location and back, accommodation (mountain chalet at Blidinje Nature Park and Hotel at Mostar), transport of gear to Konjic, all meals (breakfast on day 2 & 3, lunch on day 1, 2 & 3, and dinner on day 1), one/two fully equipped and experienced mountain biking, hiking and rafting guides, entrance fees for Blidinje Nature Park, Rental of Specialized Rockhopper Comp 2015/2016 Mountain bikes, Rafting with all safety gear & VAT.